Officially the season 6 Blu-Ray disc set for Star Trek TNG wasn’t supposed to be released until the 24th of June. I had forgotten to pre-order my copy so imagine my surprise when I saw it in the shops 5 days early. Of course I had to buy it in order to watch it and review it. It has been since November that a TNG season was released in HD. I think fans are definitely looking forward to the last two seasons. By most accounts they are not as good as say seasons 4 and 5 but they are not much worse either. 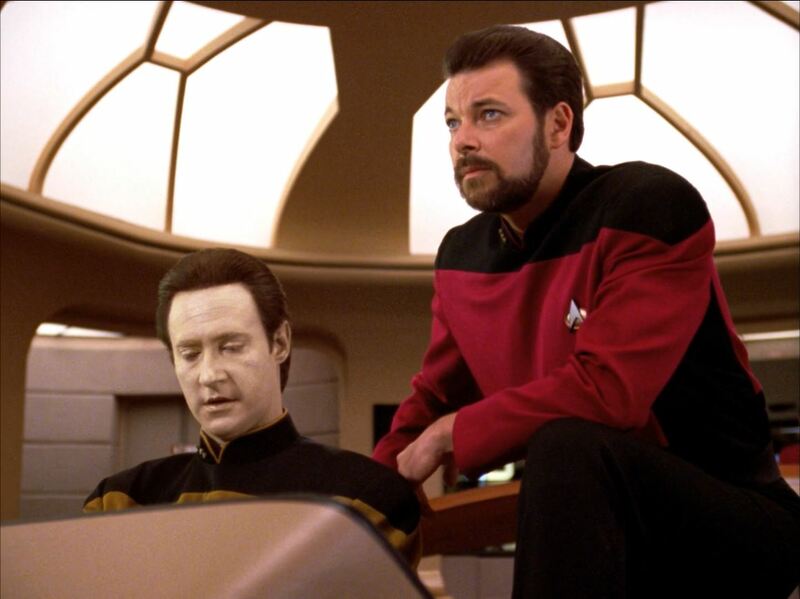 During the last two seasons the familiar TNG formula became a bit stale. 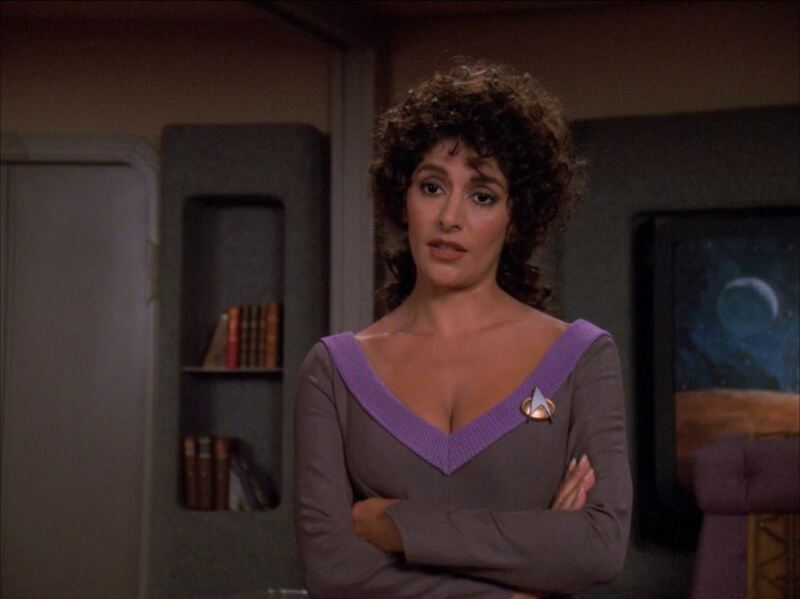 Most of the characters on the show already had fully completed story arcs, including ensign Ro (Michelle Forbes). Trying to pry them into new arcs felt a bit forced as was the case with Brent Spiner’s Data and Lore story from the season finale. A lot of the episodes also had a notable increase in drama, while this worked for the most part during season 6 it didn’t during season 7. 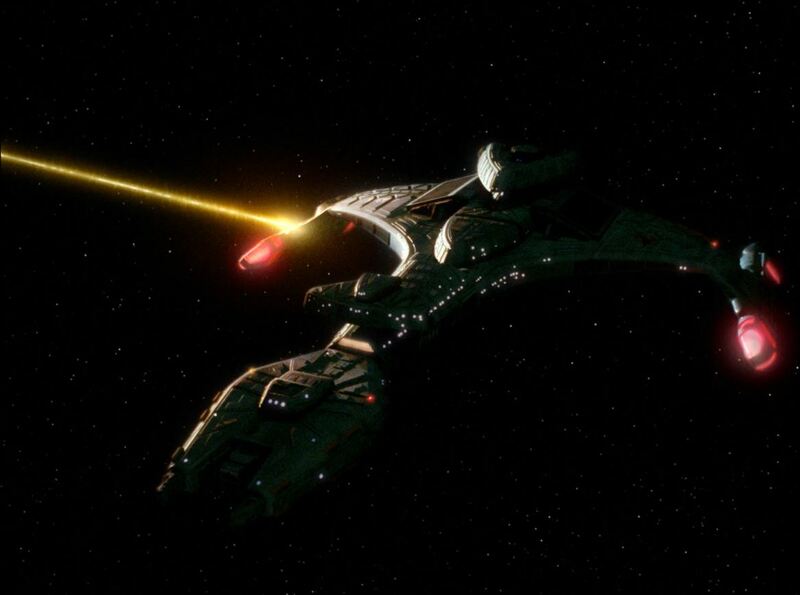 The last two season truly shine when the creative staff depart from the TNG formula to give us those unique episode that makes me wish Star Trek would come back to the small screen one day. 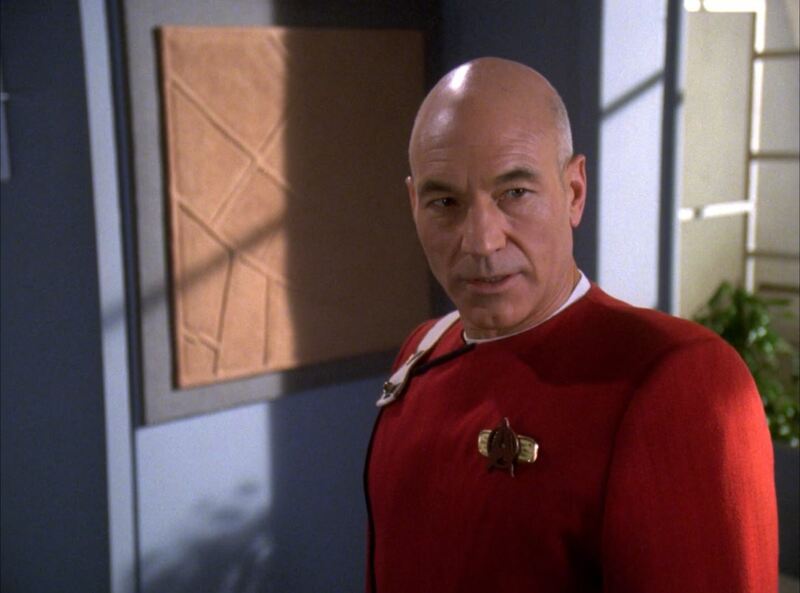 Welcome to Star Trek The Next Generation Season 6 Blu-ray Review. As always I have a few episode to suggest watching if you can’t make up your mind. Or if you are unfamiliar with Star Trek and this was an impulse buy. 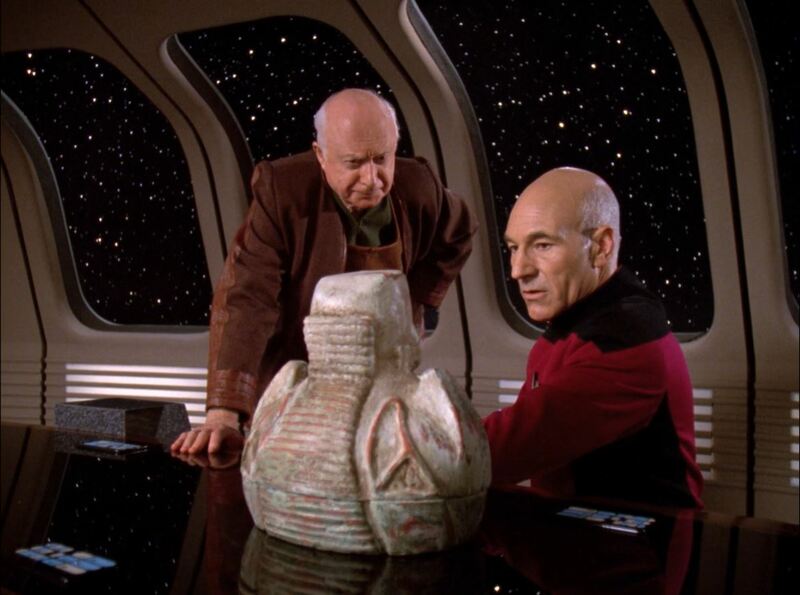 Tapestry deals with the fact that TNG would inevitably end only a season later. While watching the original run of Star Trek I felt disappointed in the fact that Encounter At Farpoint was so little referenced. 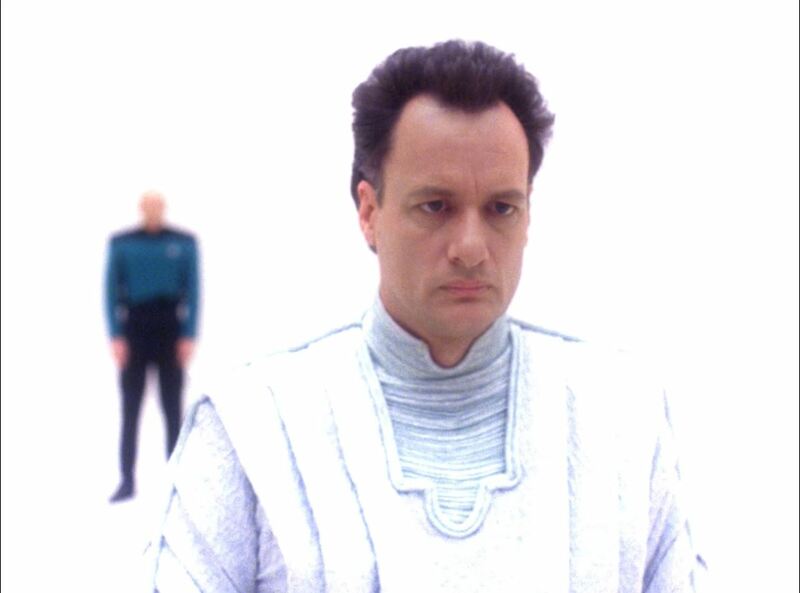 It isn’t in this episode either but the return of Q shows that he and Captain Picard have been on a journey together that will ultimately have its consequences. Tapestry is such an atypical episode and yet it is regarded among the series best. 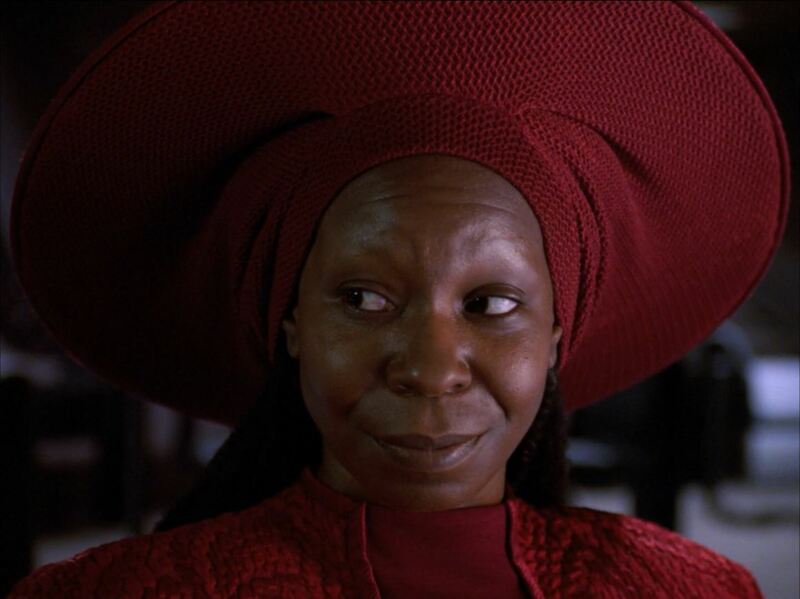 Like most other atypical TNG episodes in fact. The episode also lays bear a weakness to Star Trek. We know so very little about the history of the characters. Star Trek fans will remember this episode as the prototype for Ridley Scott’s movie Prometheus. The episode was directed by Jonathan Frakes who would only a little while later direct First Contact. The Chase is considered to be very Roddenberry-esque for optimistic Science Fiction theme. Personally I find it wonderful how what appears to be a lifelong journey is captured in an episode that lasts only 43 minutes. The Chase succeeds were so many episodes during season 1 and 2 failed. There are many more great episode during TNG, but I had to draw the line somewhere. Don’t forget to checkout Chain of Command Part 1 and 2, A fistful of Datas, Ship in a Bottle and Timescape. 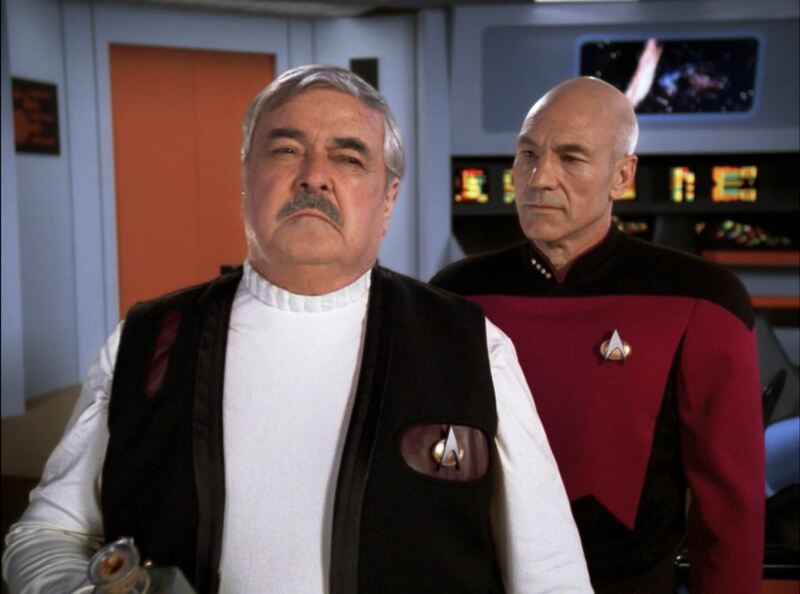 For a show that aired more than 20 years ago TNG doesn’t look bad. Of course the creative staff have had 6 seasons to perfect their technique of maximizing their budget and limit the often ridiculous special effects from season 1 and 2. Sadly I was at times annoyed by the film grain while watching. Yet, the occurrence of the effect depends a lot on the episode and what the setting is. Darker settings seem less affected. During the episode The Chase it was almost entirely absent while Tapestry was badly affected. The visuals can’t compare to later shows such as Enterprise of course. But there is over a decade of difference in special effects and cinematography between them. This season seems to continue Star Trek’s schizophrenic indecisions whether to use dark settings or light outdoor settings. Part of the blame falls of course on the choice of genre as it is a space opera. The audio track is listed as performing at DTS-HD Master Audio 7.1. I am not sure about the 7.1 aspect as I think the show was never recorded at this level of surround sound. It is at least better than stereo. Compared to Enterprise season 3 that I used as a reference it doesn’t sound any worse. Star Trek is never going to be made or broken on the basis of sound but unlike some recent show the dialogue is perfectly audible. As I have mentioned in previous Star Trek reviews nobody buys the Blu-ray disc sets for the extra’s. This season is worse than normal, they are in their entirety forgettable. The season suffers from the fact that it isn’t the last one in the show but most interesting facts have already been mentioned. However, if you want to hear Patrick Stewart use the f-word than by all means watch the gag reel. I have thoroughly enjoyed watching this Blu-ray disc set. I remembered The Chase and Tapestry as among the best TNG episodes and I wasn’t disappointed to see them in HD. Apart from the odd film grain, which also affects Enterprise over a decade later. The rest of the season is also very good. I could easily mention around 5 or 6 episode that are more than worthwhile viewing. The rest of season does come of better in HD. The high-resolution and better color tinges improve drama considerably. The extras are somewhat of a disappointment, but few people would buy the set for those anyway. Be sure to shop around for the cheapest price. Online the price could easily be 20 euros less than when you buy it in the shops. Star Trek Enterprise Season 1 Blu-ray Review!